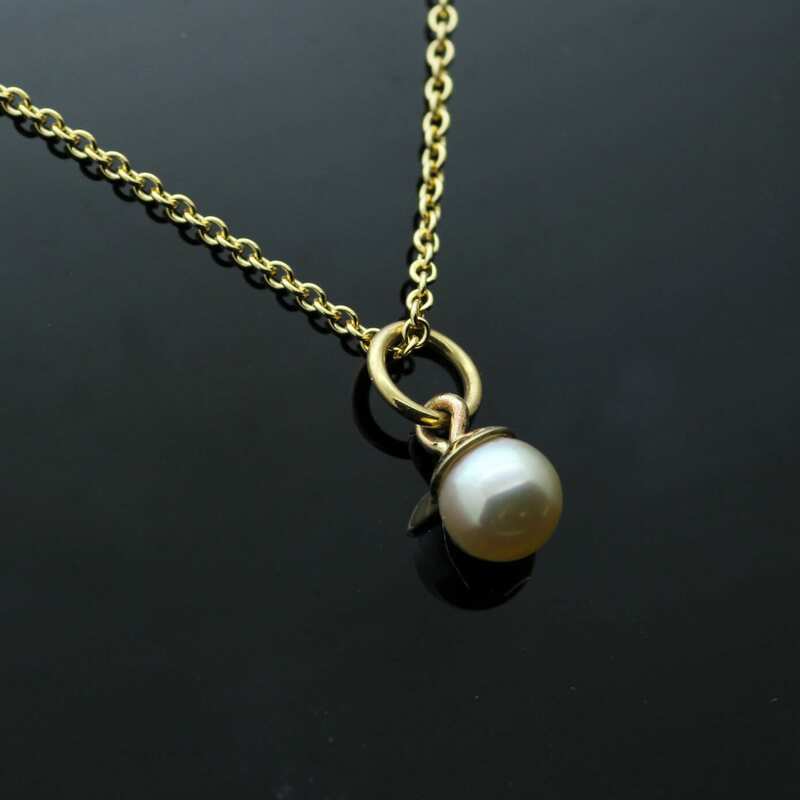 A delicate, dainty and contemporary Pearl pendant, handcrafted from the finest materials by Julian Stephens Goldsmith. 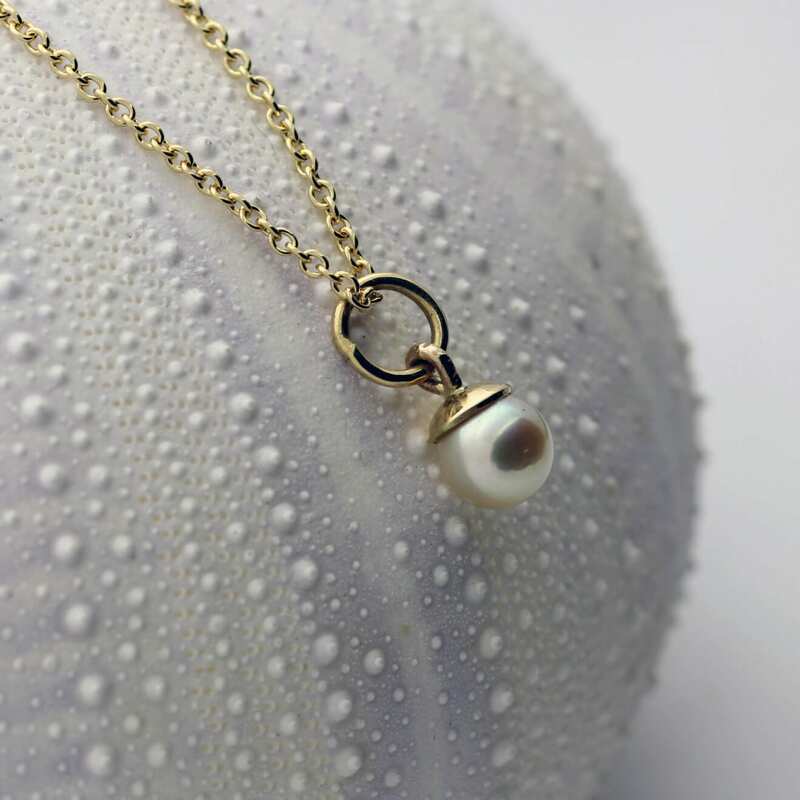 This petite, natural round white pearl is carefully set in a hand-crafted solid 18ct Yellow Gold cup setting and finished with an expertly hand polished finish to enhance the buttery lustre of the gold. This beautiful, chic and effortlessly modern necklace is strung on fine 18″ solid 18ct Yellow Gold trace chain.